Submissions can be mailed or dropped off between March 4th and 29th . If you have any difficulty with getting in a physical demo package, let me know. The address is below. Late submissions will not be considered. All are welcome, but space is limited. as always, be as creative as you want to be in your submission; this isn’t a typical venue so we are fortunate to be able to allow bands to move away from the standard press kit and be more personal in their introduction. Shows will be happening in July and the goal is eight shows but fundraising will be a factor. As always, they will be on Mondays and Thursdays, with music from 7 to 9:30 PM but the park is open for folks to be present for the pre-show festivities which will include cleaning the park and loading gear; the perfect backdrop for your dining experience. The concert series is run completely on donations which go to the permit, security, sound and various required materials. Please consider donating for this summer and summer days in the coming years. Part of the mission of the concert series is to keep it about the music and the players by way of keeping it commercial free and only “brought to you by the people who love it”. 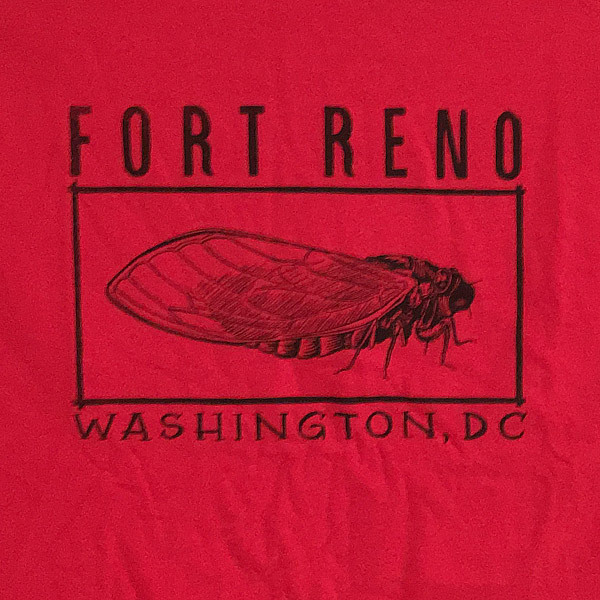 Checks made payable to Amanda MacKaye/Fort Reno Concerts can be mailed to the address above. We also have PayPal. If you thought you missed the shirts and poster when the Kickstarter closed, fret no more! We have them available for donation of much needed funding. Send your pledge here and be sure to specify which reward you’d like to receive, as well as your name, shipping address and size. 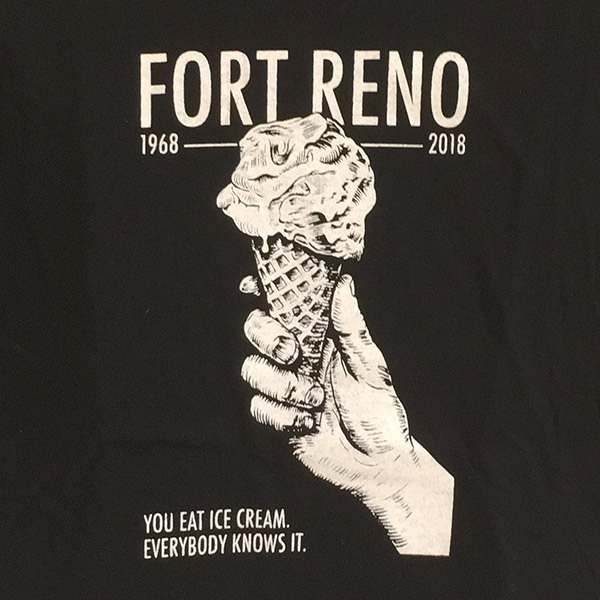 A cotton t-shirt commemorating Fort Reno’s 50th anniversary featuring a design by Ryan Nelson. 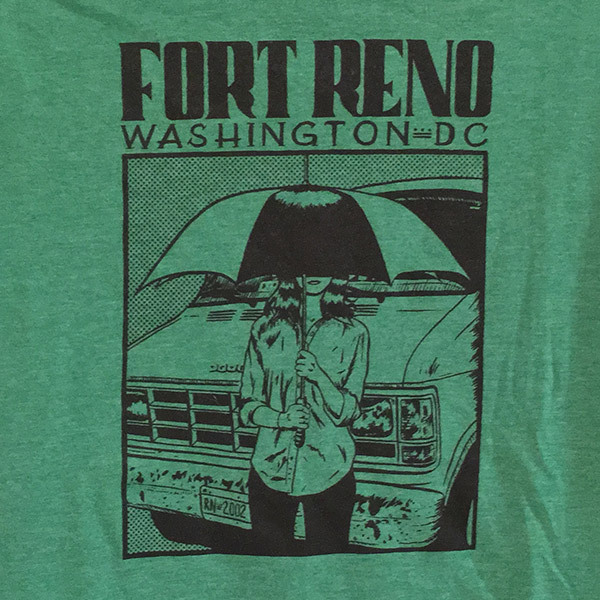 A reproduction of a vintage Fort Reno design by Ryan Nelson. A 19"x 25" poster designed by Ryan Nelson and printed by Matt Michel. 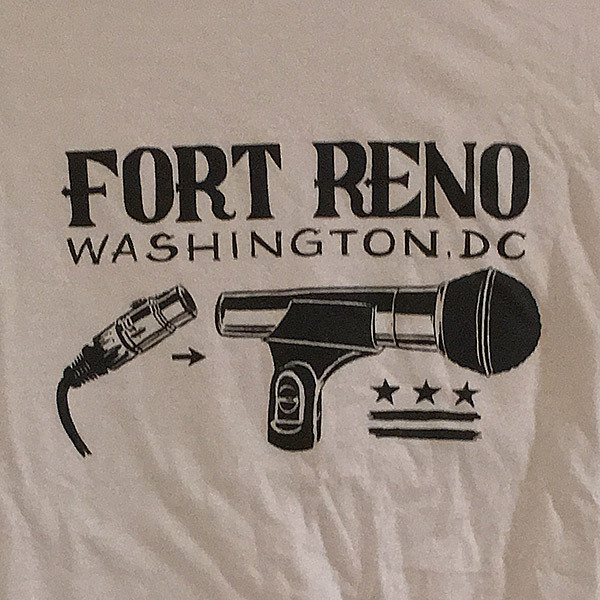 All three of Ryan Nelson’s vintage Fort Reno T-shirt designs – van, cicada, and microphone. Fort Reno is located across the street from Woodrow Wilson High School. Directions are available here from Google Maps. 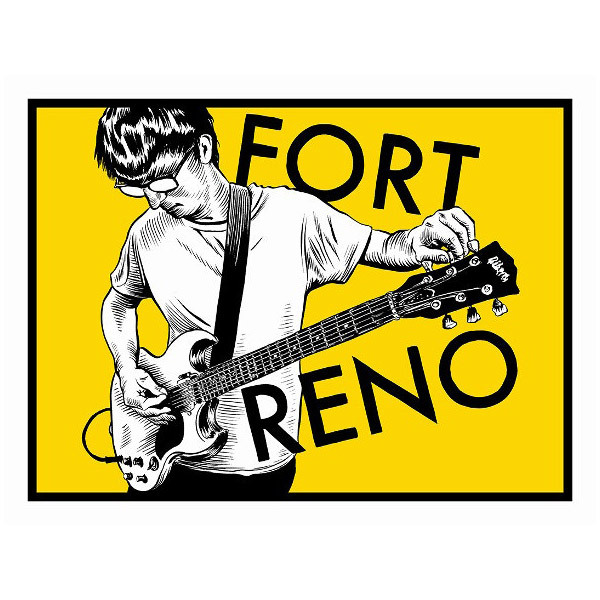 Follow us on Instagram and share your Fort Reno memories. Designed & built by the team at Threespot.